A decade of unprecedented growth in the rental housing market may be coming to an end, according to our 2017 America’s Rental Housing report. Fewer new renter households are being formed, rental vacancy rates have risen, and rent increases have slowed. At the same time, renter demographics are changing and nearly 21 million households continue to pay more than 30 percent of their income for rent. Available on both Twitter and Facebook. 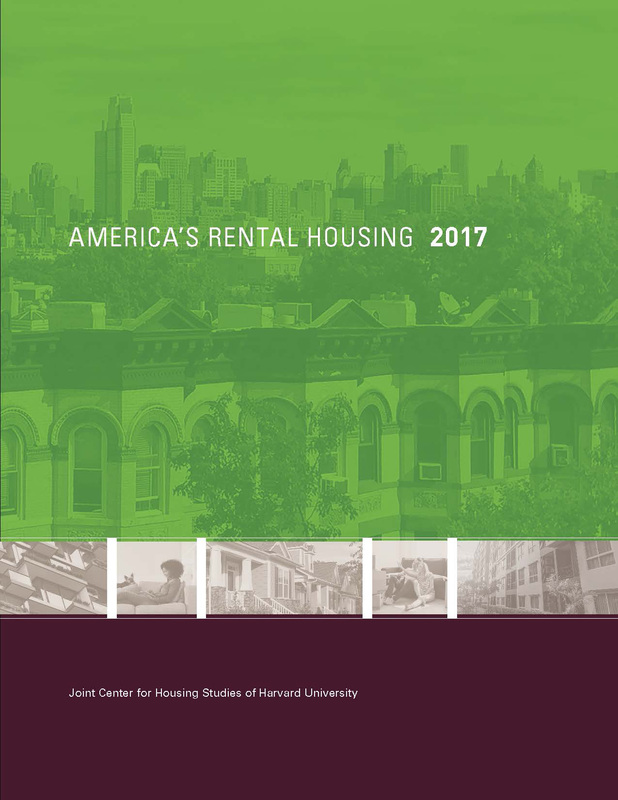 Looking for a previous America's Rental Housing report?